Gulley cleaning – extent of cuts revealed. Labour run York Council has confirmed that it has reduced by nearly half the number of times that drainage gulleys are cleaned in the City. 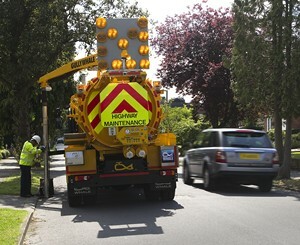 In 2010/11, the last year of Liberal Democrat control of the council, there were 38,000 gulley cleans. In 2013/14, after cuts by Labour in 2012, this was reduced to 20,664. The reduction has been blamed for increasing problems with so-called ponding and minor flooding on some local streets. Labour has cut the budget for gulley cleaning by £100,000 or 40% since coming to power, and reduced frontline staff. “The halving of gulley cleaning is another example of Labour’s cuts to basic frontline services in York. The issue is not glamorous and there are few photo opportunities in it for Labour councillors, but it is a basic council service which matters to local residents. “I know last autumn and winter particularly there were incidents of flooding on local roads as water was not draining away properly. Regular cleaning of the road gullies helps stop this by ensuring that they efficiently drain water off the road surface and minimise the pressure on the drains. This is not happening due to Labour’s cuts. NB Problems caused by inadequate gulley cleaning have been blamed for issues across York, including in Fulford last September when a blocked drain outside the ‘Sir John Hunt Memorial Homes’ caused considerable disruption. Please find attached a photo of Fulford Councillor Keith Aspden at the scene.